Oil, kink, abrasion, ozone, and weather resistant. This PVC Air Hose is rated to 200 PSI. 1/4" NPT. 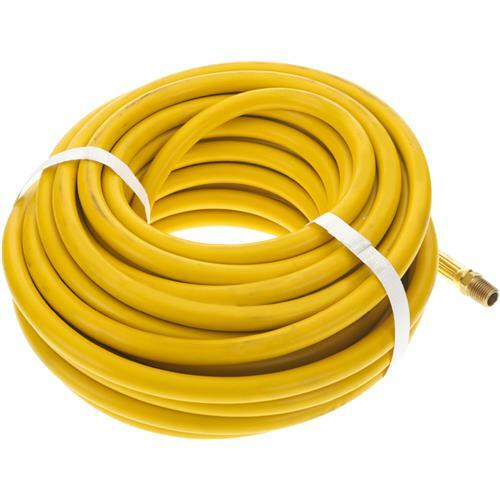 1/4" hose x 50 ft. Made in the USA. The hose reel is a little small but works. The hose is fine. I mounted it to the top of my compressor so it can move with the work in the shop. All works ok.